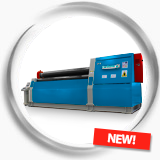 Within its new line of machines for working metal Carbone Costa Rica presents its electric, hydraulic and manual sheet bending machines like the electric bender QW11F-4X1200 that can pre-roll steel sheets and bearing type can be suitable for thin steel sheets. 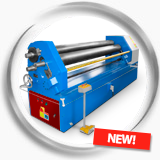 Includes asymmetrical rollers special for rolling and pre-rolling of low thickness steel sheets. 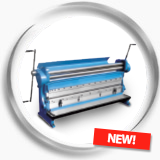 This machine has a fixed upper roll and lower roll can be adjusted up or down manually, the side roller is adjustable. Easy to operate, small with a big engine. With a SIEMENS main engine and SCHNEIDER electrical components made in France. Hydraulic sheet bending machines with a wide range of widths to work with, from 6 to 12 feet wide, display screen from Weineng. The machine has a structure of four rollers, the upper roller works as main displacement system; facilitating the dubbing of sheets with the generated torque, moderator between the gears and the upper roll, lower roll vertically adjustable and applies force to the hydraulic piston. These are some of the outstanding features of our machinery, to learn more go to the category and download the catalogs in each section.